iPad Stuck On The Apple Logo? Here's The Real Fix! You are at:Home»iPhone»Display»iPad Stuck On The Apple Logo? Here’s The Real Fix! Your iPad froze on the Apple logo and you’re not sure what to do. No matter what buttons you press, your iPad simply won’t turn back on. In this article, I’ll explain what to do when your iPad is stuck on the Apple logo! Why Is My iPad Stuck On The Apple Logo? Your iPad is stuck on the Apple logo because something went wrong during its reboot process. During the process when your iPad turns on, it has to complete simple tasks like checking its memory and turning on its processor. Then, after it turns back on, your iPad is capable of performing more complex tasks like browsing the internet and supporting iOS apps. Most of the time, your iPad gets stuck on the Apple logo because of a software issue or problem with a third-party security software currently installed on your computer. The steps below will help you diagnose and fix the real reason why your iPad gets frozen on the Apple logo. Did You Jailbreak Your iPad? One of the potential negative consequences of jailbreaking your iPad is that it could begin to get stuck on the Apple logo. If you have jailbroken your iPad, skip down the DFU restore step to fix the problem. A hard reset forces your iPad to abruptly turn off and back on, which will usually fix the problem if your iPad has frozen on the Apple logo. Press and hold the power button and the Home button simultaneously until the Apple logo appears. Then, let go of both buttons. If your iPad rebooted, that’s great — but we’re not done yet! A lot of the time, a hard reset is just a temporary fix for a deeper software problem. If you find that your iPad continues to get stuck on the Apple logo, I recommend performing a DFU Restore, the second to last step in this article. Sometimes third-party software installed on your computer can interrupt the process when you’re trying to transfer data to or update your iPad. It’s possible that your iPad got stuck on the Apple logo because that process was interrupted. A lot of the time, the third-party software causing the problem is some sort of security software. Security software may view your iPad as some sort of threat when you connected it to your computer and opened iTunes. If you have third-party security software installed on your computer, temporarily turn it off before trying to connect your iPad to iTunes. Check out our other article if your iPad isn’t connecting to iTunes at all. Apple has a great article on resolving these types of issues on their website as well. If your computer is working just fine and no third-party app is interfering with a data transfer or update process, take a look at your computer USB port and your Lightning cable. Either one could be the reason why your iPad is getting stuck on the Apple logo when you plug it in. First, closely inspect your computer’s USB port and check to see if anything is stuck in there. 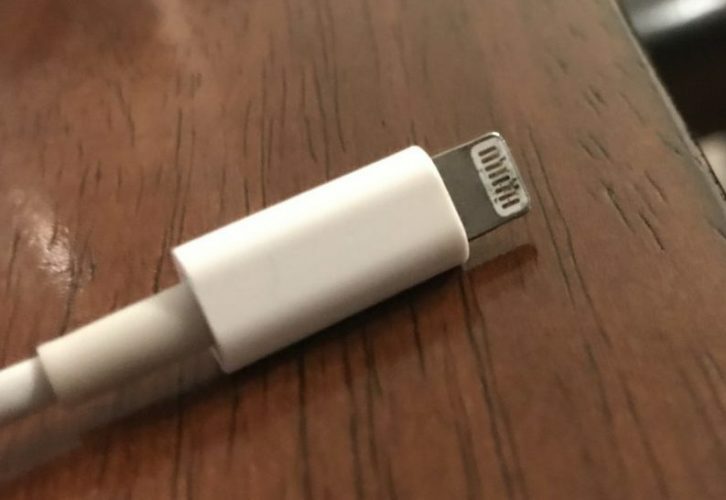 Lint, dust, and other debris can prevent your Lightning cable from making a clean connection to the USB port. If one USB port isn’t working, try a different one on your computer. Secondly, closely examine both ends of your Lightning cable. If you notice any discoloration or fraying, you may have to use a different cable. Try borrowing a friend’s cable if you don’t have an extra one lying around. The DFU restore is the most in-depth restore you can do on an iPad. All of the code controlling your iPad’s hardware and software gets erased and reloaded like new. Before performing a DFU restore, we recommend saving a backup so you don’t lose any of your important data after the restore is complete. To put your iPad in DFU mode, you’ll have to plug it into a computer and open iTunes. iTunes is just a tool used to put your iPad into DFU mode, so you can use a friend’s computer if you’re having trouble with your own. Watch our video to learn how to DFU restore your iPad! If your iPad is still freezing on the Apple logo after you’ve performed a DFU restore, it’s probably time to explore your repair options. A lot of the time, issues with the logic board are the reason why your iPad gets stuck on the Apple logo. If your iPad is protected by AppleCare+, take it into your local Apple Store and see what they can do for you. Don’t forget to schedule an appointment first! If your iPad isn’t covered by AppleCare+, or if you just want to get it fixed immediately, we recommend Puls, an on-demand repair company. Puls will send a certified technician directly to you and they’ll repair your iPad on-the-spot (sometimes for cheaper than Apple)! Your iPad has rebooted! Next time your iPad is stuck on the Apple logo, you’ll know exactly how to fix the problem. If you have any other questions about your iPad, leave us a comment down below. Previous ArticleiPad Not Charging? Here’s Why & The Real Fix! Next Article iPad Home Button Not Working? Here’s What To Do!